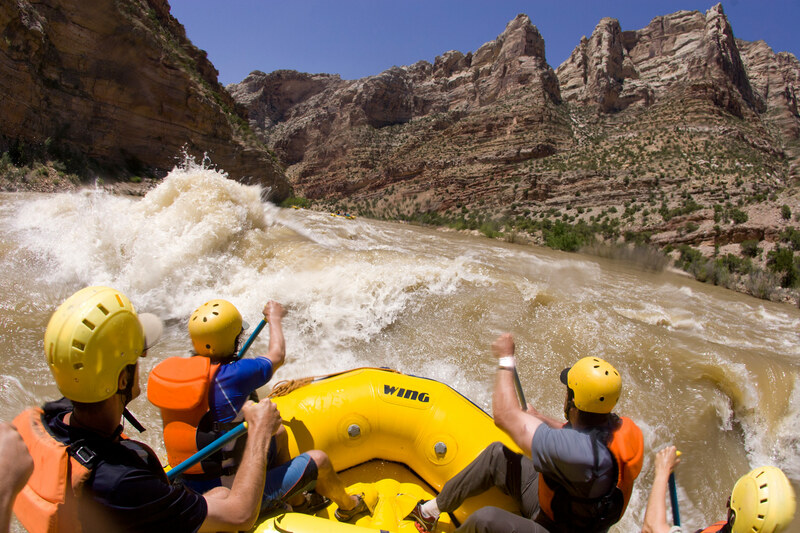 Rafting in the desert is where it’s at. Floating rain-parched canyons on a ribbon of water makes you feel like a visitor unto another world. Hoodoos, petroglyphs, and the peering eyes of amphibians all add to the impression. It’s a landscape where the sun burns with physical strength, where the simple act of swimming feels like salvation, and where the rivers flow through bone-dry terrain. 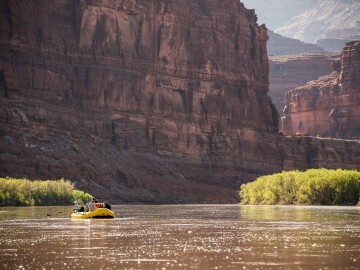 Not sold on desert rafting? 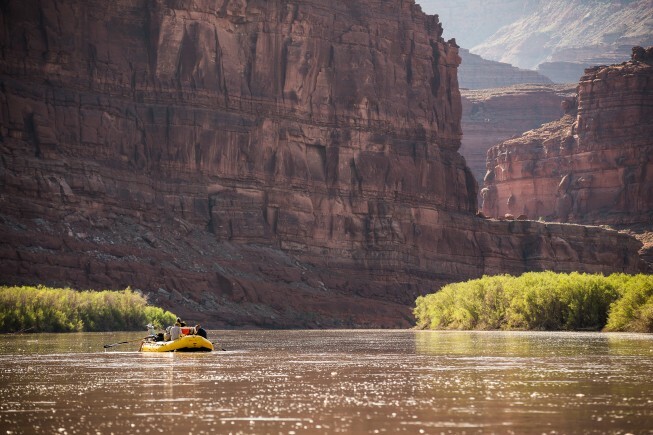 These six river trips—some of the best in the country—will convince you otherwise. Cataract Canyon: Most of America’s desert Southwest is defined by one river, the Colorado. Here that mighty river flows unregulated through Canyonlands National Park. 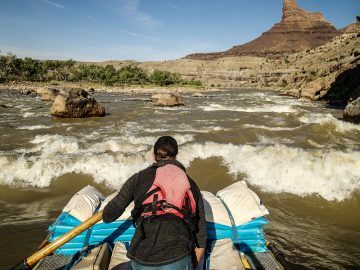 Flat water persists through the upper stretch, but once the river meanders through sandstone cliffs it changes character and charges over some of the biggest whitewater in the country. There are three consecutive rapids named Big Drop 1, 2, and 3. 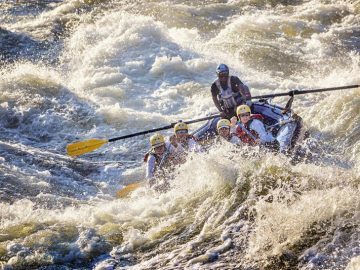 In high water, they form one continuous roller coaster of unforgettable whitewater. The Yampa: When Rocky Mountain snowmelt surges in the spring, this tributary of the Colorado earns its wild reputation. 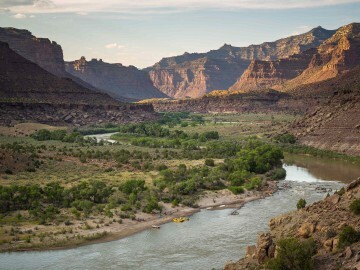 No other river in the Colorado River watershed remains dam-free except for the Yampa. You can ride the wild water through the notorious Warm Springs Rapid, past the Tiger Wall that is striped with black desert varnish, and past the defeated dam-site that gave rise to the American environmental movement in the 1950s at Echo Park. 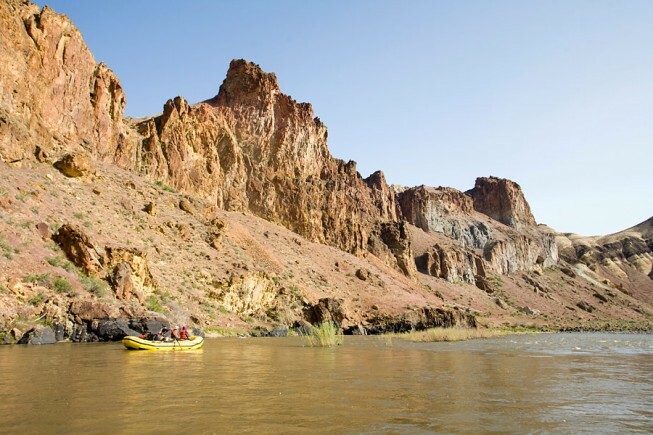 The Owhyee: Nevada, Idaho, and Oregon share the Owyhee. When the Great Basin’s snowcapped peaks release their snowmelt in the spring, the river can surge from a trickle to a torrent within hours. 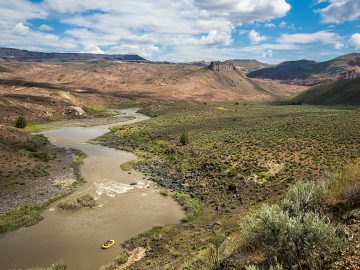 Its winding course carves a 1,000-foot canyon in the arid scablands peppered with hot springs, abandoned homesteads, and native petroglyphs. It’s a river that few people see, but once you do it’s impossible to forget. 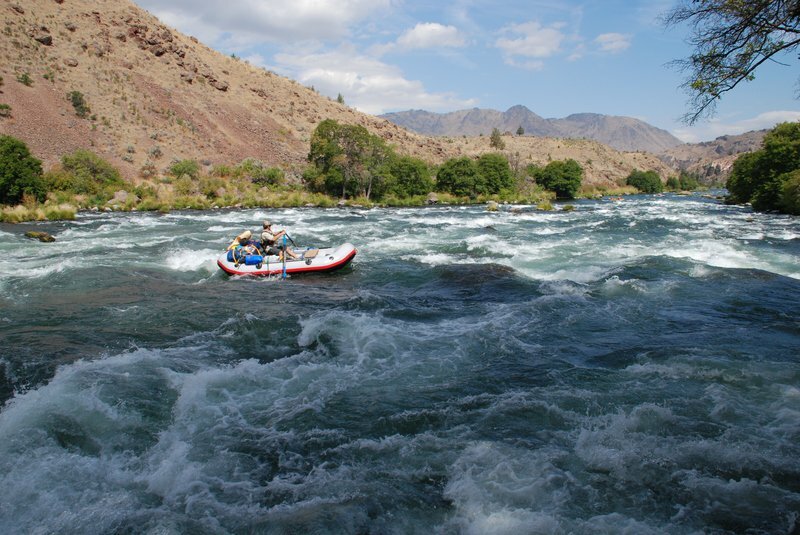 The Deschutes: Outside of Oregon, the Deschutes is best known among fly fishermen who converge upon Maupin each May to hook into redside trout on a salmonfly. But locals know the river was originally named “Riviere de Chutes” by French fur trappers for its waterfalls. The 13-miles of whitewater that flow through Maupin is Oregon’s most-rafted stretch, but long, wild canyons outside of town make for secluded overnight trips. At night, the Santa Fe train barrels through the darkness along the riverbank lending Old-Western ambiance to the star-spangled night. 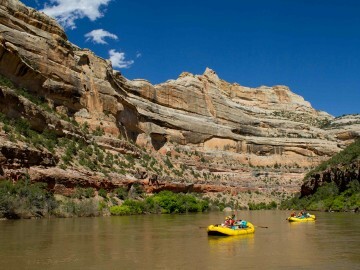 The Green: The aptly named Green River flows through the ancient landscape of Dinosaur National Monument. 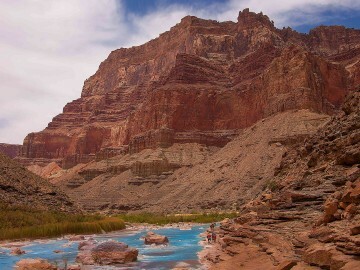 You’ll float past soaring cliffs at Gates of Lodore—named by John Wesley Powell’s Expedition—scramble up verdant slot canyons, and challenge famous rapids like Disaster Falls. 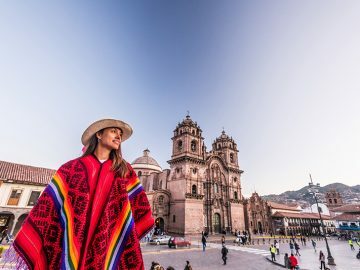 It’s a remarkable trip that takes you through one of the country’s wildest regions. 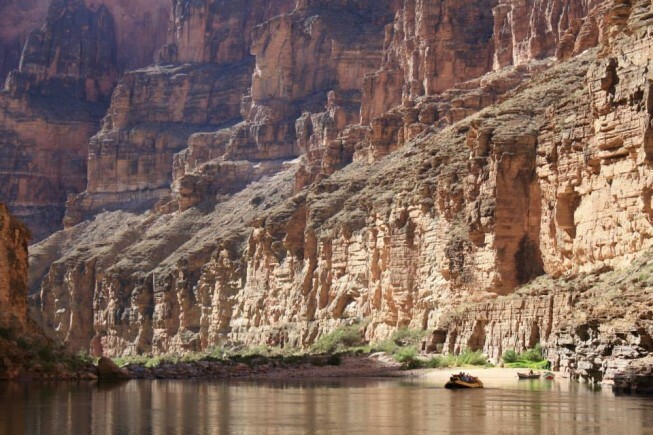 The Grand Canyon: Here’s the quintessential American outdoors experience, the crème-de-la-crème, one of the greatest raft trips in the world. 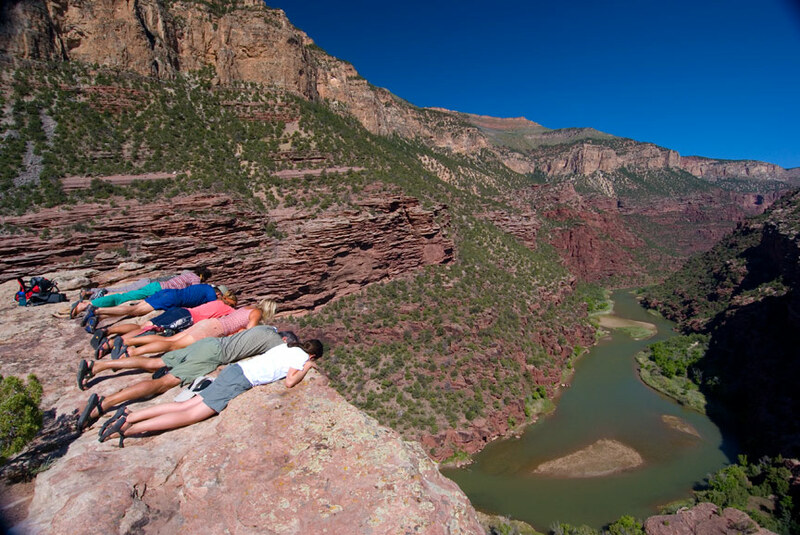 Over a mile beneath the canyon rim, you float through the geologic heart of this natural marvel. The rapids are so big that they have their own rating system—Class 1-10—that goes beyond the typical Class I-V scale. Lava Falls is the standard bearer by which all other difficult rapids in the country are judged. There’s no doubt that this is a-once-in-a-lifetime river trip.